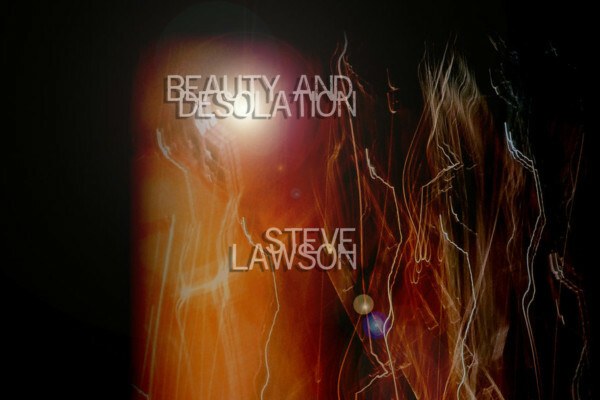 In our last interview with solo bass whiz Steve Lawson, he gave us the scoop on his latest album, Beauty and Desolation. The gorgeous seven-song collection continues the bassist’s constant sonic exploration and artistic growth. Our chat included his ideas on the album’s concept, his improvisational style, and how he uses symbolism in music. In part two of the conversation, we dig deeper into his thoughts on wider musical concepts. Lawson’s insight to how musicians approach their art is just as enlightening as his own music, plus he explains how he parlays that into his online presence. Lawson has successfully used Bandcamp as a tool to release new music as well as grow his community of fans. That is thanks in part to his Subscription model, where fans pay a fee to get full access to his extensive catalog and prolific yearly output. He even breaks down the difference of Spotify versus Bandcamp with a jaw-dropping comparison. Since all of your music is improvised, I have to assume you don’t release everything. Do you know what ratio of what you release versus what you delete is? It’s alarmingly high that amount that I end up releasing. I’ve been playing solo like this for 20 years. There’s a track on my first album that was improvised in one take at my first ever gig from scratch. One of the defining features of that gig was that I forgot my e-bow and everything I did back then was washed in e-bow. There’s one tune in the middle where I’d do this big ambient thing, but I couldn’t do that. So I made this tune called “Chance.” It was me using volume swells to make this weird tapestry. So, my hunch for how this solo thing that I do should sound is pretty close to where I wanted it to be from the start. It wasn’t fleshed out at all, but the shell was in place. So I’ve now 20 years of pursuing the same thing. There was never the point that I thought what I was doing was the musical equivalent of a mullet that I’d have to shave off. It’s been slowly evolving all the way through. I’m fascinated by bands that see their project as one of refinement rather than expansion. My example for this is always Cannibal Corpse. Other than the change from Chris Barnes to George Fisher’s vocal style, everything about what they’ve done is about perfecting death metal. They’ve never added a keyboard. Alex [Webster], who has a prodigious slap technique, has never used it. They’ve never done a ballad and there have never been clean intros like Metallica’s “Fight Fire With Fire” or something like that. It’s always been about brutality and grimness. Every record is built on that template: they’re trying to make a better death metal record, and they’re succeeding! Nostalgic people will say, “Well, I still like Tomb of the Mutilated.” Well, yeah, that’s because you were sixteen when it came out. Torture is objectively a better record than anything they did back then. It sounds amazing and they’re playing better. They just have all this wisdom to what they’re doing. Iron Maiden would be the same, or AC/DC. They keep trying to refine a very specific template of what they’re music should be. For me, there’s a bit of both. There’s a duality to it, where I have this central thing which is that it’s about me playing live. There is a sound to that and I don’t ever want to [change that]. There’s a lot of music that I like, but I can’t imagine going in that direction. It’s just not what this project is about. There are specific influences that I think are apparent in there: there’s David Torn, Bill Frisell, and a British/Celtic prog band in there called Iona that Nick Beggs used to be in. Now Allan Holdsworth is added in and Michael Manring is probably the only real bass influence in there. Maybe some bits of Trip Wamsley in there as well, plus Todd Johnson in the jazz chords. I learned an awful lot from Todd. I’m kind of a sponge for other things, but it all comes back to sounding like me. I keep trying to find other people that sound like me, but other than former students of mine, I can’t find any. That’s the beauty of it. It’s the synthesis of your experiences. That’s the thing of it. I think I never got obsessed with any one artist for long enough to sound like them. I never went through that stage of worshipping Jaco or Marcus Miller or Stanley Clarke. I like all of them and spent time particularly with [Joni Mitchell’s album] Hejira and with a Stanley Clarke “Best Of” album that I played to death in my teens, but I was never interested in learning it. Hejira is my favorite record of all time, but there’s not a single tune on there that I could play. It’s just not what I did because I always wanted to make my own music that made me feel the way that music made me feel, and sounding like it would never get me there. The thing about Joni Mitchell is she only sounded like Joni. If you break it down, you can hear influences, but the sum total is Joni. Same with Jaco. There are bits of “Three Views of a Secret” that reference The Beatles and reference Charles Mingus, but the overall effect is something that no one else sounds like. It’s not about bass playing. It’s about vision. The beauty of that whole album is that his bass playing is absolutely subservient to a much bigger musical vision. That’s why he sounds like himself. And Michael Manring is the same and Bill Frisell is the same and David Torn is like that. I get really excited about my music, so that refinement process has been as much about the context that I get to make music in as it has been about everything else. I’m never affected by some idiot on YouTube saying, “You can’t do that on a bass!” That’s not something I’m ever concerned about. I’m not interested in joining in the bass wars. I don’t want to clown on YouTube to get views. I want to create a safe space in which I can tell stories the way that I do. Thank God for my Bandcamp subscribers, because they supply that cushion. I worked it out recently that I’ve had, in total, just under 2,200 people that have ever given me money on Bandcamp. The money that I have made from those 2,200 people since 2009 would have taken me over 11 million streams to make on Spotify. For comparison, Zoe Keating – who is probably the most successful solo instrumentalist on the planet right now – has had 10 million streams on Spotify. I would need to be bigger than Zoe to get the same money I’ve gotten from Bandcamp. Within those 2,200 there are 210 that are my subscribers. When you’re thinking about raw value for money, when they sign up they get 40 albums. Then they get the eight that come out that year and a bunch of video and access to gigs. We also get to chat about the music. That’s all for £30. It’s ridiculous, and yet if those 210 people were just streaming my music through Spotify I’d only make about £120 per year. As it is, it’s almost enough to pay our rent. When you’re thinking about sustainability, everybody is obsessed with this idea of being full-time in music. I don’t care if I’m full-time or not. I really love being an academic. 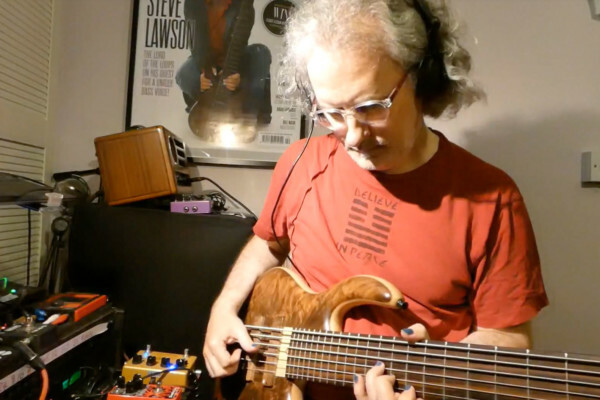 I like teaching and writing for Bass Guitar Magazine and all the bits that I do. I don’t want to be sat with a bass guitar in my hands all day long. To worry about that is to ignore the fact that the history of music has been such that most music pioneers for the large part of their job weren’t full-time in music. Nels Cline had a day job until the day he joined Wilco. Cecil Taylor, one of the most celebrated names in avant-garde history, washed dishes so he could pursue his vision. It was more important to him to play the music he cared about than it was to be stuck playing standards in a wine bar for money. All of the punk bands were full-time. They all worked at SST. Henry Rollins had a bunch of day jobs. Mike Watt was an engineer. D. Boone was a school teacher. If you want to play music full-time you’re going to end up playing in a show band or a covers band. So my focus isn’t how to make £30,000 a year so I don’t have to do anything else; it’s how do I make the time I spend doing this pay for itself? How do I not go into debt in order to create more music? Do you think that the subscriber model is good for any musician or is better suited for those who focus on refining their own sound as you mentioned? I think that’s really interesting. The problem with a lot of the alternative sources of funding is that they rely on spectacle. If you’re doing a Kickstarter campaign, then you need the new one to be bigger than the latest one. “I’m doing an album and I’m going to make cupcakes and bungee jump off a bridge and put it online!” I know a lot of people who have said to me privately about their own Kickstarter campaigns that they became the kind of person online that they hate, who do nothing but shout about themselves. I think it’s great and I’m glad for the people who have done it, but I know so many people who have done it and came out wishing they hadn’t. They’ve made £40,000 or £50,000, but it’s all gone right back into it. You can’t put on a Kickstarter that £15,000 is just for you. It’s all about this amount to tour and this amount for a publicist. Everybody spends all their money. It’s a bit like getting an arts grant. So people are doing all this work and not making any money from it, so I think that there are some of those alternative funding models that just don’t lend themselves to people who don’t want to be dramatic. They’re great if you want to be telling dramatic stories, but it’s difficult to do over and over again. The nice thing about a subscription model is that you can quietly get on with it. You’ve fairly made your barrier to entry. To get someone to sign up and say, “Here’s £30 for your weird bass music” is kind of tough. I get that, but I don’t need 10,000 of them. It would be lovely – I would have an enormous staff of little bass players all running around doing tribute gigs. [laughs] What the subscriber model really is good for is any artist who is really prolific. I put out eight albums last year. I couldn’t promote that many records. It wouldn’t be fair to media if every six weeks I said, “Here’s a new album! 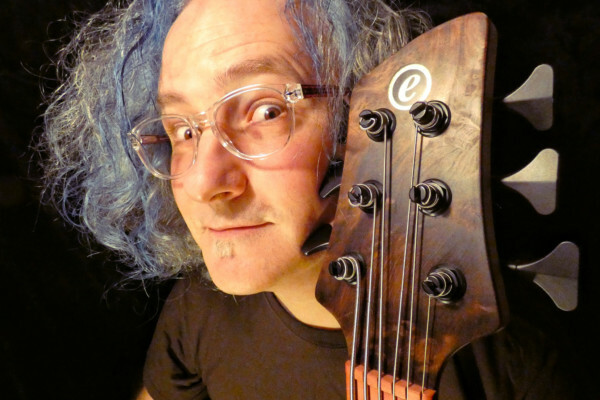 Can you write a new feature on me?” There are a lot of other bass players in the world whose stories are as at least or more interesting than mine. So I couldn’t put out eight albums a year like that. The subscriber model allows me to invite people in. I can promote the subscription year round in a fairly gentle way, and with each new record, I get a few new subscribers. It means that this new music trickles into their inbox. The lovely thing with Bandcamp is that it never disappears. It’s not like a Netflix release where the first season is up for six months and then it vanishes. As soon as it’s there, they own it. They can download it and if they lose their hard drive they can download it again. It’s all lossless so they can burn CDs if they want to. We also get to talk about it. I’ve started doing this thing within the subscription called “The Listening Club,” where every few weeks I post a link to one of the old albums in the back catalog and tell some stories about when it was recorded. I recently found the original stems for Grace and Gratitude, which came out in 2004 and is probably my most successful album so far. I thought it was lost, but found them in an old hard drive under my bed. I remastered the title track and found the original version of it from when it was improvised. I did improvise it and then re-record it. I found the original version of “Shizzle,” which is a little slap tune from it that was fun. So I put together this EP of new stuff and sent an announcement. I can do this really targeted, small-scale stuff that is conversationally driven, and I don’t need to pay for ads. It’s a conversation between me and the 200 people that get it. That’s an amazing privilege to have those people supporting what I do. I genuinely love them. A lot of them have become friends while some are students and some are friends from before. Two of the guys have put a two-album “best of” that they compiled and wrote sleeve notes for. It’s like the first fifteen years of my career in two albums. They really sequenced it well. They have recordings of mine that I don’t have copies of. They’ve been listening for so long that they have things back in the early 2000’s that I lost. One of them was saying he had 70 albums by me, and I said, “I don’t even have 70 albums by me!” The truism here is that my audience is much more interesting than I am, so I’m constantly trying to engineer ways to hang out with them and get to know them.